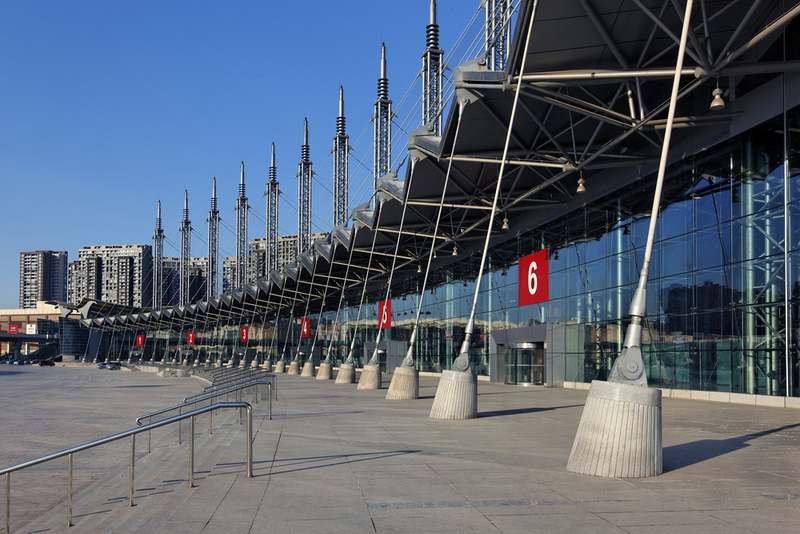 In a fast-growing seaport city south of Beijing, LHPA’s fan-shaped convention center provides state-of-the-art exhibit and conference facilities for a new economic zone. The center’s curving shape is graceful as well as functional: a gently rounded spine, with glass walls and skylights, organizes the space and also acts as a boulevard where visitors can stroll and intermingle. 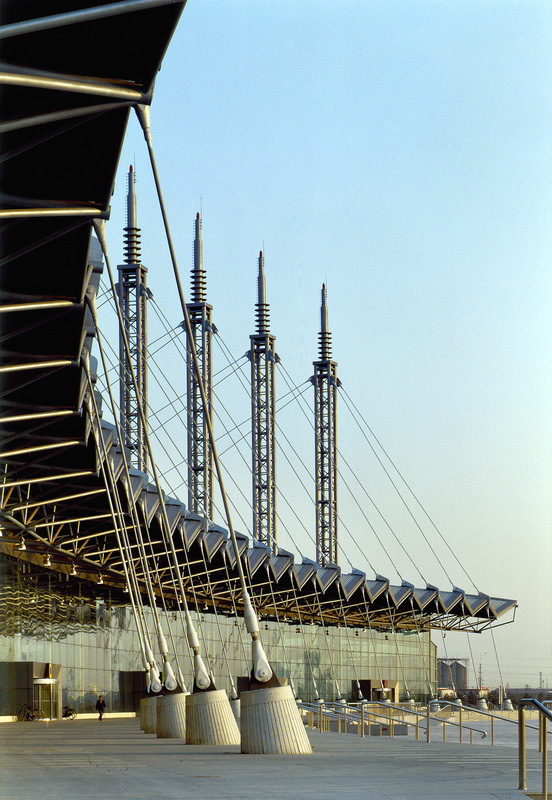 A unique steel saw tooth roof design, inspired by the Chinese fan, distinguishes the building. Steel trusses suspended by cables attached to masts rising nearly 115 feet support it. 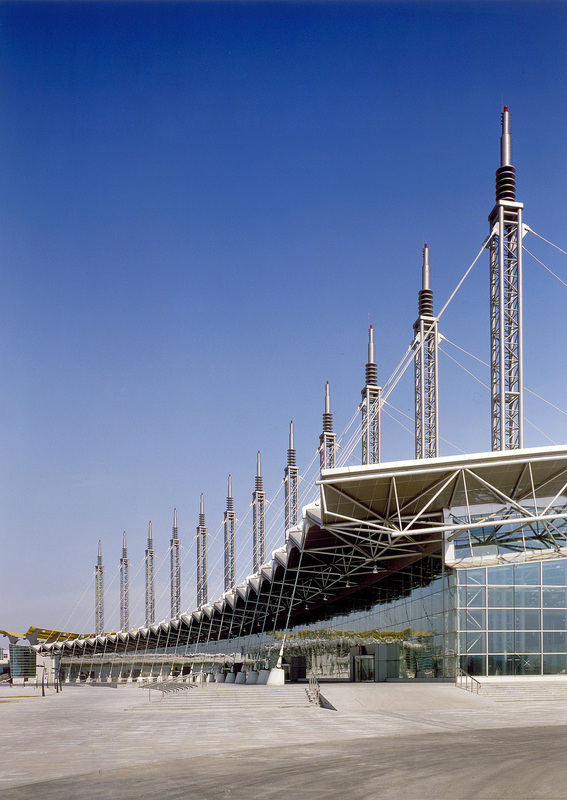 Under its dynamic form, this roof structure allows clear spans to provide flexible exhibition space. The center’s 600,000 square foot Phase I was completed in 2004; Phase II, completed in 2008, expanded the center to almost one million square feet, equivalent to eight football fields. It was the setting for the World Economic (Davos) Forum’s Annual Meeting of New Champions Conference in September 2008. 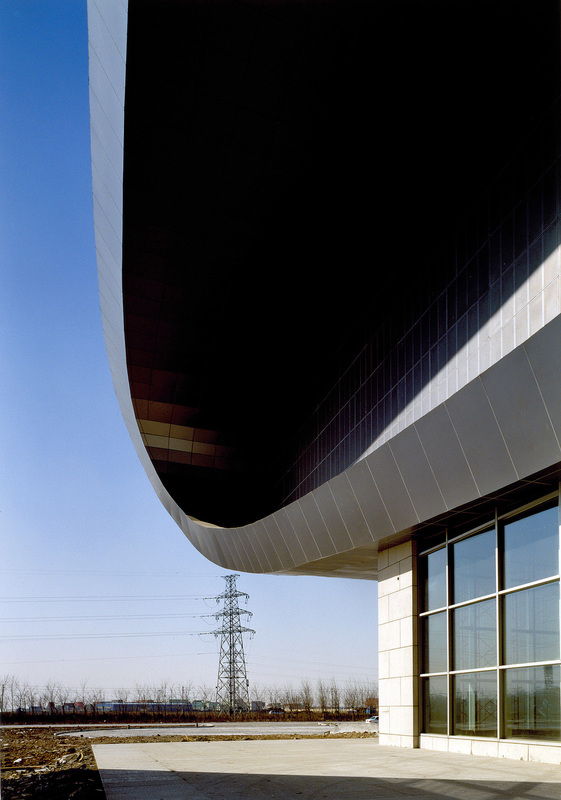 The Center is a skylit, three-level building with a high lower level exhibition hall directly accessible walkway, road, and outdoor exhibition area. 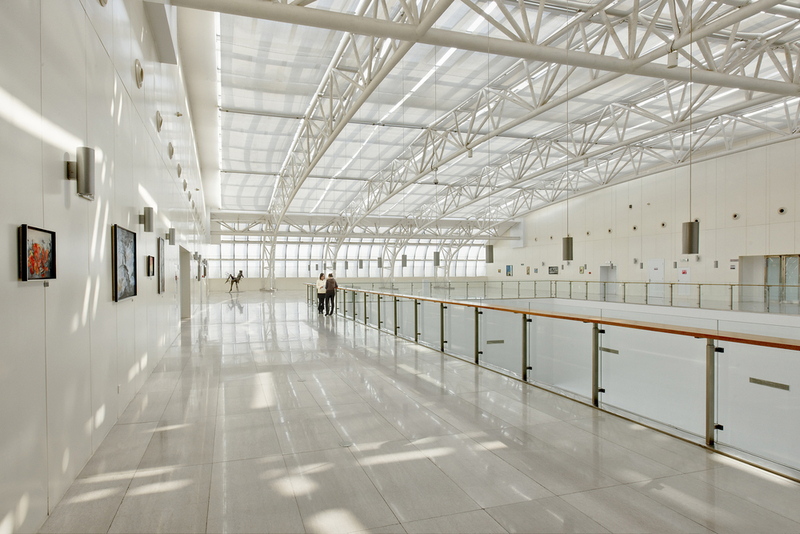 The second level overlooks the exhibition hall and provides flexible conference space food services and direct access to a train station on the upper level. Parking on grade for 850 cars. This building is designed as a world Class, “state-of-the-art” conference and exposition center that will serve the general public as well as trade shows, political conventions and other significant gatherings. Exhibit spaces for large functions are divisible for smaller large functions, exhibit spaces for smaller functions, ballrooms with their accompanying break-out areas, meeting rooms, conference spaces, restaurants, bar areas, business and support spaces in a cohesive and organized form. The concept also supports and embraces the commercial, recreational, and tourist functions that Tianjin Economic Development Area (TEDA) has planned for this part of its new city.